For many of us, the end of a year and the start of a new one is a time for reflection and planning what’s next. The thought of a new year’s resolution and how to make the coming year better than the last is at the forefront of many people’s minds. As we look back on 2016, we remember all of the exciting classes, events, instructors, and students who made Bellevue College Continuing Education a thriving learning environment. 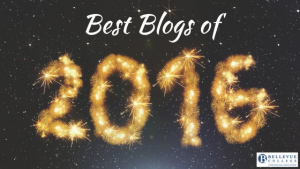 To commemorate this past year, we wanted to share a roundup of our best blogs from 2016. From meditation tips to new and innovative technology classes, our programs and instructors provided their insights and recommendations for optimizing your lifelong learning goals. Read on to see which blogs inspire your new year’s resolution or goals for 2017. Is Bellevue College CE the Right Choice for Your Educational Goals?